A German soldier tries to determine if the Dutch resistance has planted a spy to infiltrate the home of Kaiser Wilhelm in Holland during the onset of World War II, but he falls for a young Dutch woman during his investigation. 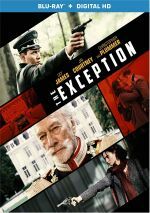 A thriller set during 1940, 2017’s The Exception takes us to World War II-era Germany. Kaiser Wilhelm II (Chrisopher Plummer) – the country’s leader during World War I – lives exiled in Holland. Some authorities suspect a spy from the Dutch resistance has infiltrated the Kaiser’s home and acts to abet the anti-Nazi cause. Captain Stefan Brandt (Jai Courtney) goes to investigate and runs into a mix of complications including a romance with Mieke de Jong (Lily James), a maid who may hide secrets. On one hand, the look at war efforts and the focus on Kaiser Wilhelm – a disgraced, forgotten man by the 1940s – intrigues me. On the other hand, the potential emphasis on gooey romance turns me off. So which side of Exception wins this battle? Unfortunately, the mushy domain dominates, a factor that makes the movie less than enthralling. Not that I find romance to be an inherently problematic genre, as a well-executed tale of that sort can entertain. Exception comes with too many problems to fulfill any potential success, though. The setting and premise become part of the issue, as they’re not especially conducive to this sort of piece. 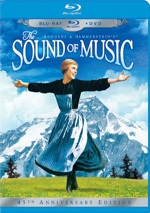 The film wants to present a charming romance between Stefan and Mieke, but it can’t pull off these components, and the basic connection between Nazi officer and servant girl seems distasteful as presented here. It doesn’t help that Courtney lacks any presence as our lead. He gives an odd performance that lends a strangely coquettish air to the Nazi soldier. I’ve never been wild about Courtney as an actor, but I expect him to bring a sense of heft to his parts, whereas his Stefan comes across more as an infatuated schoolgirl. It’s always nice to see Plummer, but he adds little as the Kaiser. That’s mainly the script’s fault, as it gives the exiled leader little to do, but I still wish we’d gotten more from the legendary actor. Even at his best, I don’t think Plummer could save the muddled Exception. It comes with a sluggish narrative, one that never coalesces, as its mix of romance and drama fail to come together. That means it gives us a tale with little meaning, mainly because the characters don’t impact us. Stefan remains a leaden dud, and while lovely, James fails to add much personality to Mieke – she certainly fares better than the wooden Courtney, but she’s stuck with a part that lacks heft. A romance without passion and a thriller without suspense, The Exception doesn’t go anywhere. Despite potential positives, the movie drags and sags. The Exception appears in an aspect ratio of approximately 2.39:1 on this Blu-ray Disc. This turned into a strong image. Sharpness was good, as the movie appeared well-defined and concise. Any softness escaped me, as this delivered a precise, tight impression. No problems with jagged edges or shimmering occurred, and edge enhancement remained absent. In terms of print issues, no concerns materialized. Much of the flick focused on an amber overtone, with blues thrown in for some exteriors. Within those constraints, the hues were appropriate and well-rendered. Blacks seemed dark and tight, while shadows showed mostly good clarity. A few nighttime shots looked somewhat murky, but those were the exception. This became a solid “B+” presentation. The DTS-HD MA 5.1 soundtrack of Exception also worked pretty well, and a few action elements offered the most active use of the spectrum. This was especially true during scenes with weapons fire, and a few other sequences used the channels in a satisfying way. Most of the flick concentrated on environmental information, though, so don’t expect a lot of sizzle. Music showed nice breadth, and ambient material helped create a nice sense of place. Audio quality pleased. Speech was concise and natural, without edginess or other issues. Music showed good range and vivacity, while effects worked nicely. Those elements came across as accurate and full, with solid low-end response and positive definition. All of this added up to a “B”. The disc’s extras open with an audio commentary from director David Leveaux. He offers a running, screen-specific look at the source and its adaptation, story/characters, the history behind the tale, cast and performances, music, sets and locations, cinematography and connected domains. Only one issue mars this chat: dead air, as Leveaux goes MIA a little too often. Otherwise, he covers the film well and gives us a lot of good insights into his film. Behind the Scenes of The Exception runs 19 minutes, 32 seconds and features Leveaux, producers Lou Pitt and Judy Tossell, and actors Christopher Plummer, Ben Daniels, Lily James, Janet McTeer, and Jai Courtney. “Scenes” looks at story/characters, cast and performances, and Leveaux’s impact on the production. This turns into a fairly superficial look at the film. The disc opens with ads for Remember, The Lovers, Free Fire and The Blackcoat’s Daughter. No trailer for Exception appears here. A mix of dull characters and passionless romance, The Exception brings us a forgettable film. While the basic premise shows merit, the execution sputters. The Blu-ray boasts very good picture as well as largely solid audio and a mostly informative commentary. Not even the great Christopher Plummer can redeem this lackluster effort.